So I’ve just maxed out my Postcrossing limit 🙂 plus a couple of cards to postcard pals and one in a Postcrossing RR. My reasons are: 1) I’m going for minor surgery tomorrow and writing cards is relaxing, and 2) I’m going to be recovering for several weeks and may as well have cards travelling during that time. 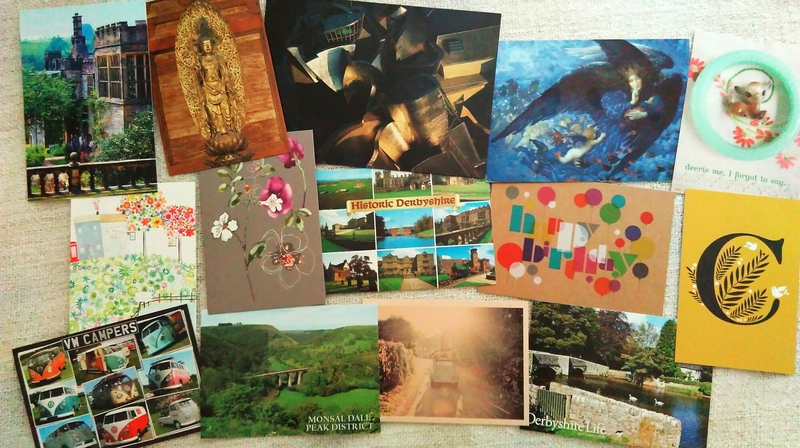 My account has been on inactive for a few months now so I’m looking forward to a stack of postcards one I move house in August 🙂 (is it an wonder I’m stressed?!). These cards are mainly off to Russia, with a couple to USA, and single cards to Turkey, Sweden, Belarus and Germany. Thank you 🙂 I’ll be better when it’s all over! And good luck with your surgery, hope everything goes well! WOW, what a huge lot of outgoings!